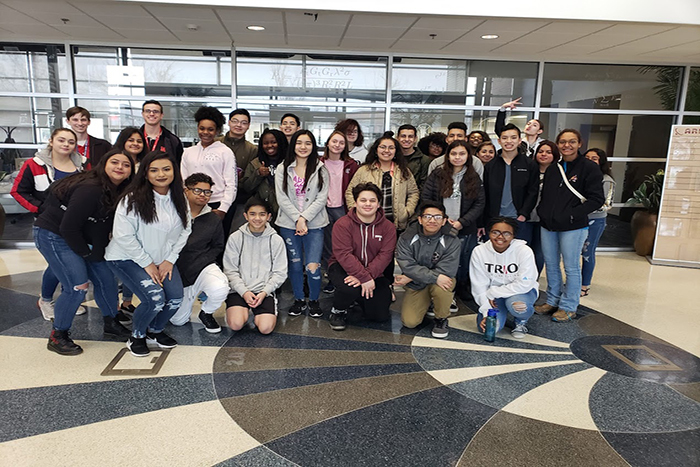 Students and their chaperones visited five universities: University of Oklahoma (Norman); Sam Houston State (Huntsville, Texas); Rice University (Houston, Texas); Texas A&M (Corpus Christi); and University of Texas (Austin). 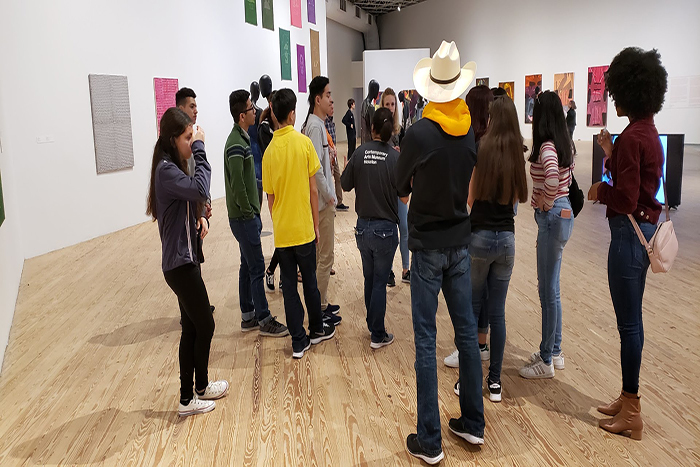 Apart from the campus visits, students went on a variety of field trips, including the South by Southwest (SXSW) gaming expo, a contemporary arts museum, a rodeo, and the beach at Corpus Christi. The trip gave students the opportunity to experience different campus environments, possible career fields, cutting-edge technology, and arts and cultural opportunities they would not experience otherwise. The group embarked on their journey Sunday, March 10, and returned Saturday, March 16. Here is a brief overview of the trip. 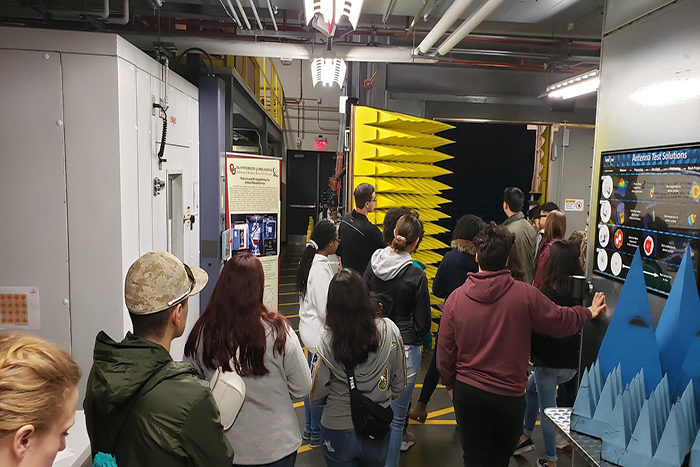 The group visited the University of Oklahoma in Norman and toured the Radar Innovations Lab of the Advanced Radar Research Center, where students got to witness a mini-tornado and experience an anechoic chamber, a room designed to completely absorb sound and electromagnetic waves. “We got to see a lot of cool stuff there on how they are working to advance weather prediction,” Holland said. Students interested in criminal justice and forensic science found the Sam Houston State tour particularly interesting because the university has a strong criminal justice program, Holland said. 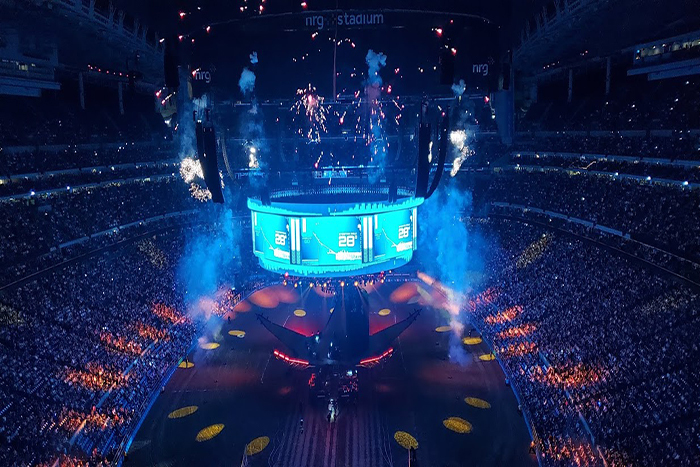 That evening, the group attended the Houston Livestock Show and Rodeo—the world’s largest rodeo. “Cowboys do exist,” Papillion-La Vista student Haian said of the experience. A significant number of students were interested in Rice because of its generous financial aid package. Starting in the fall, the university is offering free tuition for anyone whose family makes under $130,000 per year. All Upward Bound students meet this threshold. Rice will also offer free tuition, grants, and stipends for room and board to students whose families make under $65,000 per year. After Rice, the group went to the Museum of Contemporary Arts-Houston. 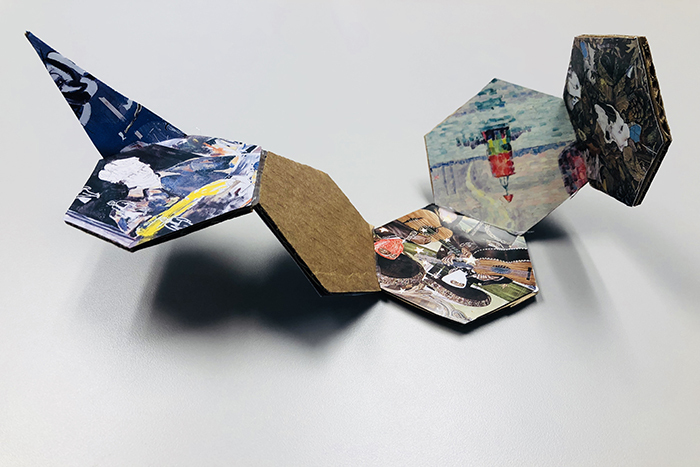 Some students found the work confusing, and others enjoyed being asked to think outside of their comfort zones. 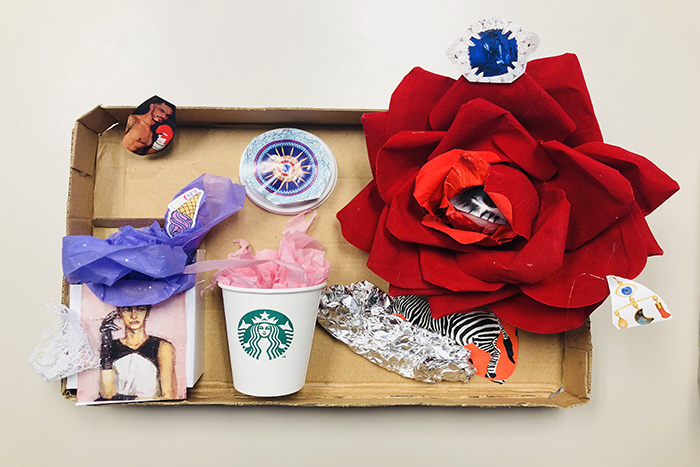 Everyone participated in an art workshop where they made projects dealing with space and spatial relationships. NASA came next. 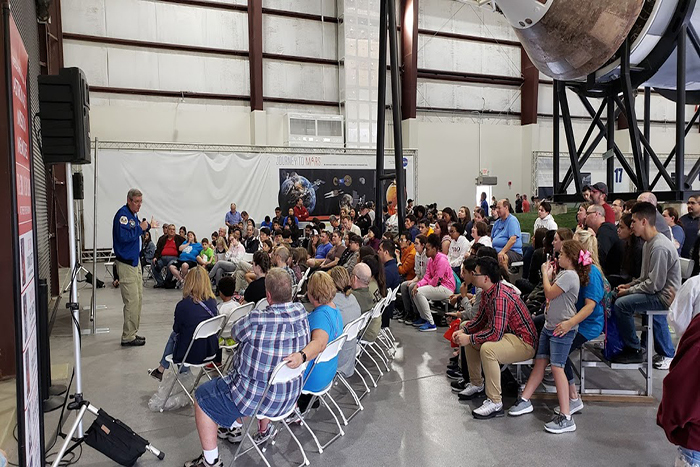 The group toured the Space Center Houston, saw the Saturn V rocket, and sat in on a Q&A session with retired astronaut William S. McArthur. 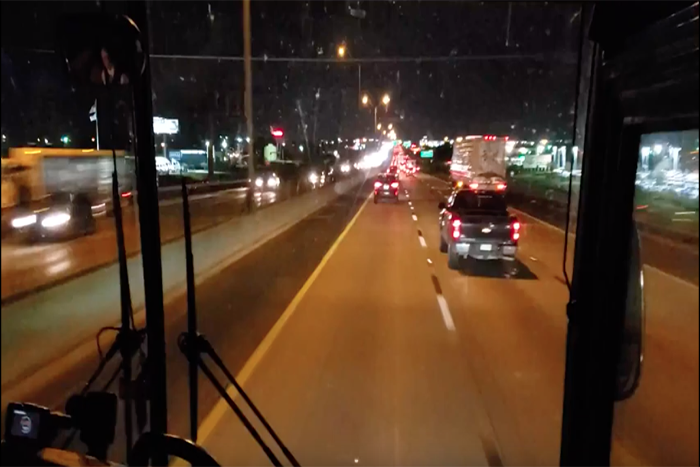 According to student evals and chaperones’ real-time observations, the Corpus Christi leg of the trip may have been the most enjoyable. Students toured the Texas A&M campus located on Ward Island in Oso Bay. 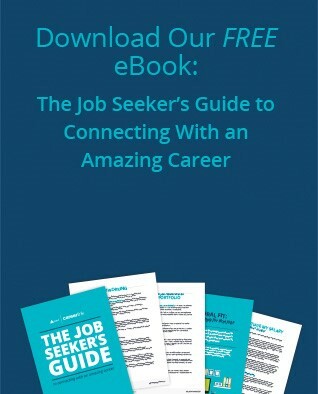 The university also offers a unique selling proposition that not a lot of other schools have. “They said at least ten times in their tour presentation that they’ve been on Shark Week for the last five years,” Holland said. Next, the group visited the Lone Star Unmanned Aerial Systems Center for Excellence & Innovation, an FAA-approved site for drone testing and research. Finally, the group went to the beach. A majority of the students had never been to a large body of water before. Multiple evals cited the feeling of waves as their favorite part of the excursion. 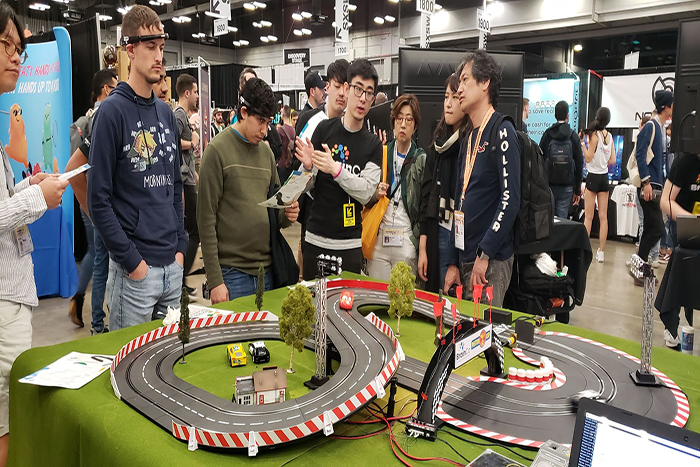 On the last full day of the trip, the group traveled to Austin to tour the University of Texas and attend the SXSW gaming expo, where students interacted with gaming culture by listening to game developers and testing out new video games. “It was exciting meeting and seeing game developers because I got to learn a little about how games are developed,” Papillion-La Vista student Chelsea said. Despite a bus breakdown outside Salina, Kansas, on the way back, the trip proved successful and informative, even life-changing. “My senior year became amazing because of Upward Bound,” said Papillion-La Vista student Ayomide. Likewise, the trip had a major positive impact on AIM staff chaperones. 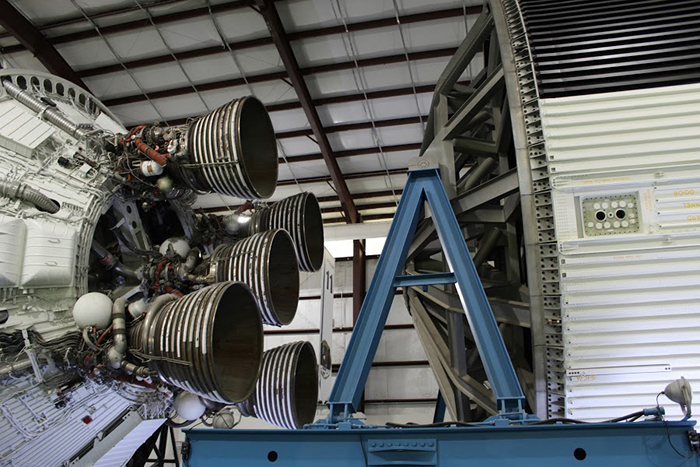 Part of the Saturn V rocket on display at NASA. Students tour the Museum of Contemporary Arts in Houston. Student work made during an art workshop at the Museum of Contemporary Arts. Touring the anechoic chamber at the University of Oklahoma’s Radar Innovations Lab.